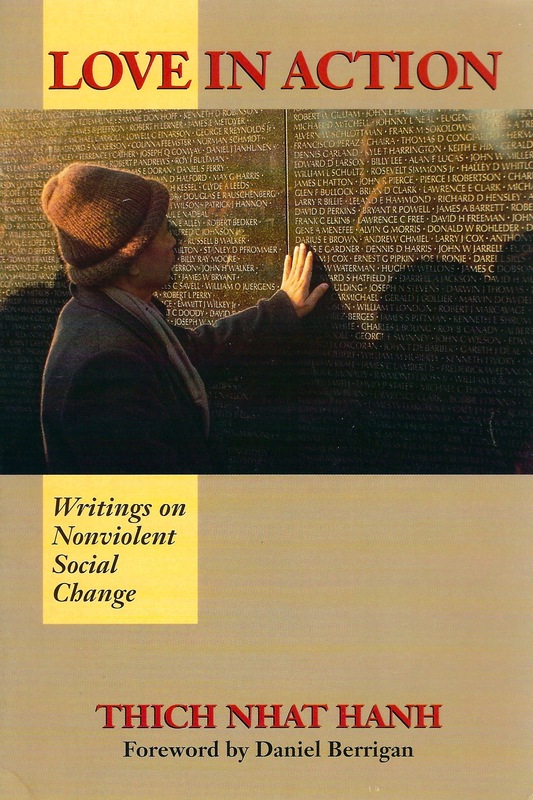 There are also several chapters from the 60s and 70s which deal directly with the war in Vietnam, some of his poetry, and the Buddhist path to peace: “Love in Action,” “A Proposal for Peace,” “Our Green Garden,” “The Ancient Tree” (written for Nhat Chi Mai), “Call Me by My True Names,” “If You Want Peace, Peace is with You Immediately,” while “The Way Ahead for Buddhism in Vietnam” deals with the need for guaranteeing the right to religious freedom and “To Veterans” examines how veterans can be a constructive force for peace. Tho: I see, Sister Mai! You are saying that I am present in her now, too, and in all who love me in the world of the living. That is why I am still there, and still able to provoke this chain reaction.